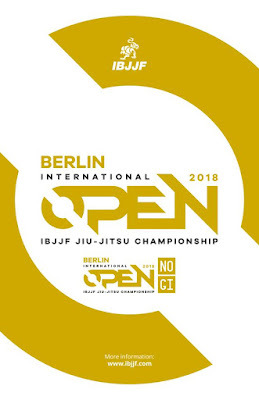 The international jiu-jitsu championship “Berlin International Open IBJJF Jiu-Jitsu Championship 2018” will take place in Germany soon. Ukrainian sportsmen also will take part in this prestigious tournament! Four Ukrainian fighters from the SC “Borets” / ZR Team will perform at the championship this year. Yaroslav Blazhko will fight at the featherweight, Roman Nepota – at the middleweight. Both fighters will compete in the purple belt category. Also this year two more sportsmen from the “Borets” club will fight at the championship. Breno Peterson (brown belt) and Wallace Henrique, the black belt owner, will show their skills on the sports arena. In total, the championship will gather sportsmen from all over the world. All of them will perform in three age categories: juniors, adults, and masters. The championship will take place on December 1st in Berlin. This competition is organized by the IBJJF and will be held under its rules.